When rocky, Earth-like planets were discovered orbiting in the habitable zone of some of our closest stars, excitement skyrocketed -- until hopes for life were dashed by the high levels of radiation bombarding those worlds. Proxima-b, only 4.24 light-years away, receives 250 times more X-ray radiation than Earth and could experience deadly levels of ultraviolet radiation on its surface. How could life survive such a bombardment? Cornell University astronomers say that life already has survived this kind of fierce radiation, and they have proof: you. The same thing could be happening at this very moment on some of the nearest exoplanets, according to Kaltenegger and O'Malley-James. The researchers modeled the surface UV environments of the four exoplanets closest to Earth that are potentially habitable: Proxima-b, TRAPPIST-1e, Ross-128b and LHS-1140b. 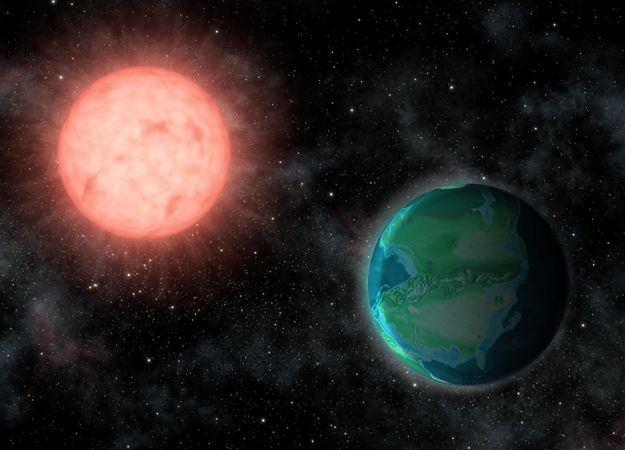 Reference: "Lessons from Early Earth: UV Surface Radiation Should Not Limit the Habitability of Active M Star Systems," Jack T. O'Malley-James & Lisa Kaltenegger, 2019 April 9, Monthly Notices of the Royal Astronomical Society [https://doi.org/10.1093/mnras/stz724].